Hi Ya’ll . This week’s post isn’t so serene. My Oldest Granddaughter turned 13 on Friday. I let her have a few friends which turned into like 6 over for dinner. Her choice was a brinner which is eggs sausage biscuits and gravy. I threw in hashbrowns for the hubby who doesn’t eat gravy and biscuits. I spent Friday afternoon baking a cake to surprise her. 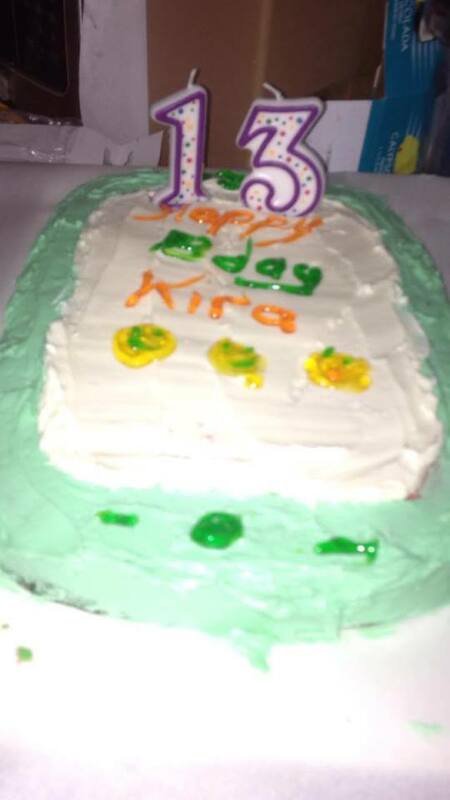 It was supposed to be a Cellphone with the message in text and some emojis. 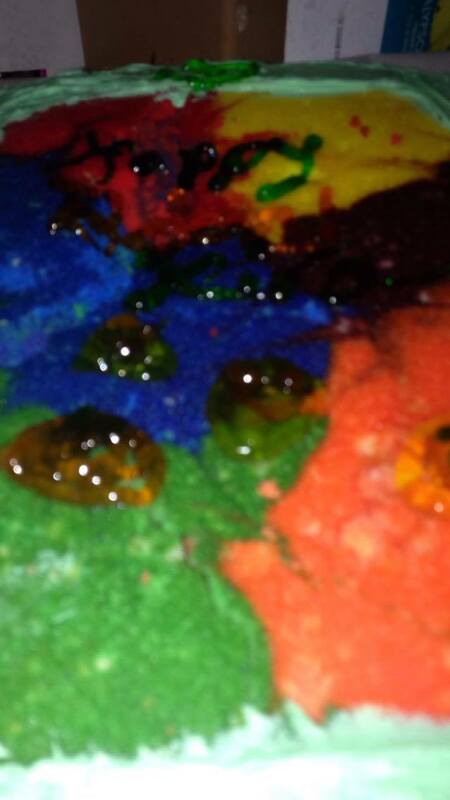 the cake is tie dyed. This is the unfrosted version. I was going to leave it this way but the gel decorating stuff didn’t show up. This is the finished version. They all called it a grave, not a cell phone. She also kept switching the numbers to 31. She acts 31 LOL. I can’t believe I have a teenage granddaughter. Do you bake cakes? Whats your biggest success? Biggest flop? You go girl! I’ve never made a souffle but have wanted to maybe for a special occasion I may try one. A grand Mariner sounds yummy. She sounds delightful! Happy Birthday to her. Cake is one of my fave things to eat of course but also to bake, though I don’t bake them often, just for the occasional special event. As far as disasters, yes I think we’ve all had them with cakes.